Walk along the waterfront. For more information, call the events hotline number at 360-718-6029. Crochet Club. 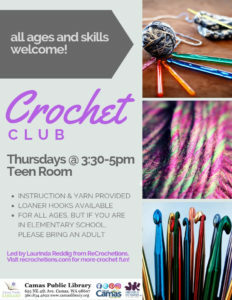 All ages and skills welcome. Instruction and yarn provided, loan hooks available. 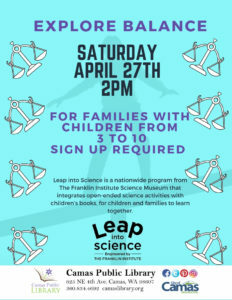 For all ages, but those elementary school-aged should bring an adult. Thursdays in the Teen Room. "Book 2 Art Jr." is a new book group for students in grades 6-8 and their adults. 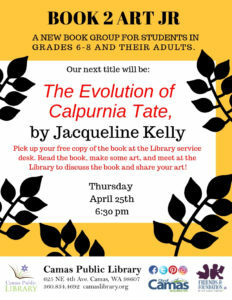 The next title will be "The Evolution of Calpurnia Tate," by Jacqueline Kelly. Pick up a free copy of the book at the library service desk. Read the book, make some art, and meet at the Library to discuss the book and share your art. The next meeting is Thursday, April 25, from 6:30 to 8 p.m.
China Cook Restaurant, 2200 St. Johns Blvd. The speaker at the next Fort Vancouver Lions Club meeting is Judy Koch-Smith from the Washington State School for the Blind. Meeting. For more information, call the events hotline number at 360-718-6029. Food and cards (Zioncheck). Seating limited to seven. For more information, call the events hotline number at 360-718-6029. Kenton Station, 8303 N. Denver Ave. Happy hour. For more information, call the events hotline number at 360-718-6029. 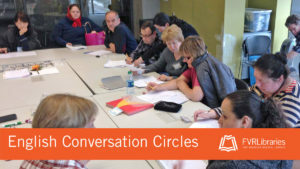 Practice speaking English in a group setting, led by a native-speaking volunteer. Meets weekly at 10 a.m. on Tuesdays.